Unusually there hasn’t been much cooking this weekend and I am starting to get twitchy. We had a takeaway on Friday night and were then asked out for dinner last night at the last minute and the fondue I was planning was left until next weekend and later this afternoon we are going for a planned lunch out. To keep my fingers busy I have made an aubergine tian to eat tomorrow. Whilst that cooked I made a trip to the tip and continued to clear out rubbish from the basement. No more stray bottles of beer were found but I did come across various items of beer making equipment left over from last time I thought I would try and make some beer at home about 12 years ago. I will have to use it next time I make up a barrel. The current brew is doing well and will be decanted over the next few days for the final stage of fermentation so it is ready for drinking in a couple of days time. 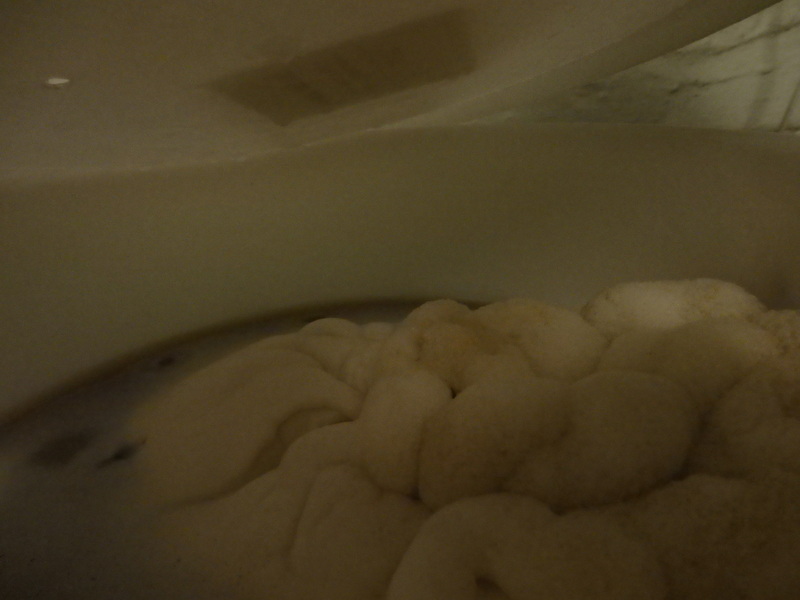 There were a couple of evenings last week when I put my nose under the lid and the beer seemed to be bubbling up like some white monster ready to spill up out of the barrel and take over the basement.